Welcome to the Malton Bowls Club Website. We are a small, friendly club with a long history and we are always looking to welcome any new members. Whether you are an experienced bowler or a complete novice then come and join us. On this site you can view the latest match results, the latest league tables and all our forthcoming league and cup fixtures. As the 2019 season continues you can check our progress and catch up on any club events and competitions on our Latest News Page. photos of any club events will also be added as and when they happen. The site also has a page providing links to official league organizations, online shops selling everything a bowler needs. Club competition draws and results are also available with past winners listed on the club's online Honours Boards. If you are interested in joining the club proceed to the Contact Us page where details of how to get in touch with the club secretary can be found. Our address and a small map showing our location is also shown. Or you can email the club secretary by using the email link at the foot of any page. 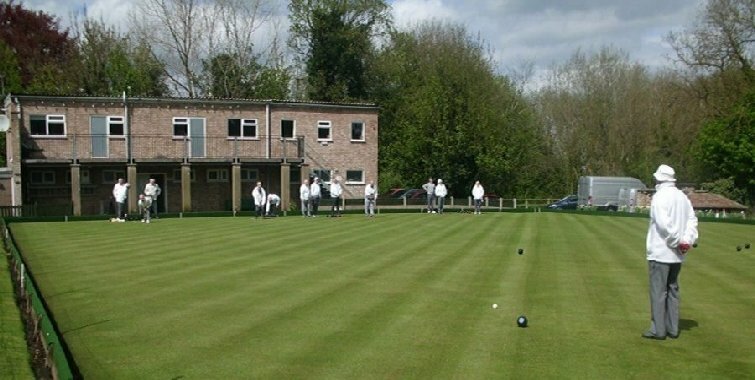 The modern history of Malton Bowls Club begins in 1944 When the club moved from its original site on Castle Howard Road where it was part of Malton Quoits & Bowling Club. The quoits club dates back to 1855 but a bowls club wasn't formed until the summer of 1882. In 1944 the bowls club took up residency in what was originally a croquet lawn on its present site at East Mount. More information on the history of the club, including a photo' gallery can be found Here. The bowls club is now part of Malton Tennis, Bowls, Squash and Racketball club. The first league the club participated in was the Hovingham League (a league which is still contested) but as time has passed we dropped out of that league. We now enter teams in the 'BataGas Triples League', the 'Ryedale & District Veterans League' and from May 2019 the 'Huby Triples league'. All 3 leagues are a triples league format (4 rinks of 3 players per team) with the Batagas league matches taking place on Monday and Friday evenings the Veterans league matches being held on Wednesday afternoons and the Huby Triples matches played on Tuesday and Thursday evenings throughout the summer season (May to September). The club holds its own internal competitions throughout the season and all are played on a knockout basis. All competitions are open to both men and lady members. The entry forms for these competitions will be posted on the notice board and members are encouraged to participate in them. after the draws for the internal competitions are made the players will play their matches by mutual arrangement. The finals will be played towards the end of the season and trophies and cups will be presented to the eventual winners (usually at the end of year AGM held in late October). Thursday night is 'club night' at Malton and is an ideal time for new members to have a roll up in a friendly, relaxed environment. Apart from the club having its own pavilion the main building housing the squash courts has changing rooms, toilets and shower facilities and includes a fully licensed bar, all available to members should they wish to use them.